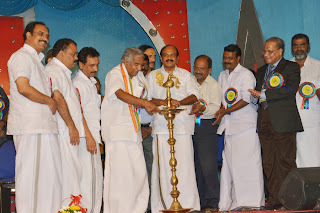 The Kerala Agricultural University (KAU), which has been adjudged the nation’s best in academic excellence for 5 years in a row (2007-11), hosted the South Indian Agri Expo from 28 February to 6 March 2014 in collaboration with Department of Agriculture and Cooperation, Government of India. 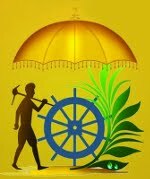 This mega event facilitated convergence of research organisations, development departments, extension agencies, non-governmental organizations, input agencies and farmers to showcase the latest technological advancements in agriculture and motivate the younger generation to professional agriculture. Closing Ceremony Agrifiesta, a six day long grand exhibition on Agriculture concluded with the closing ceremony conducted at 6:00 pm on 06/03/2014. Seminar Sessions Seminars on various topics were conducted every day from 28/02/2014 to 06/03/2014. Scientists, farmers and other enthusiastic people actively participated in the sessions.